Cannot start because required data is missing or damaged is the error I keep receiving. I just tried to install the update, that was all. After I was going to install the famous game. Are you using G4TW releases or my repack? Anyway, run the validator (in quick scan mode) and post the result here. @anadius wrote: Are you using G4TW releases or my repack? Thank you for responding. I tried to do that but nothing happens when I select my latest game folder? Honestly the game was working perfectly until I watched a video on youtube on how to install the new game from someone that uses your site. I never update the games this way, I usually just follow the directions on here but this time I followed the video . Is there another way for me to be able to find out what files are missing? 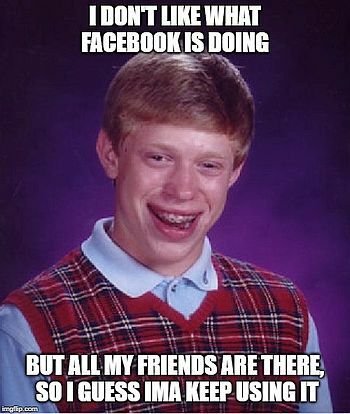 Use Chrome or Firefox, haven't tested other browsers. My first guess is you didn't select your installation directory when installing patch from my repack. Default path in my installer is "C:\Program Files\The Sims 4" so you need to move all files from there to the folder where your game actually is. @anadius wrote: Use Chrome or Firefox, haven't tested other browsers. So I copied the files from the folder you listed above and pasted it in the folder that I had pasted the new update files in there. Unfortunately its still saying the same thing, and its taking longer to launch. If I were to try to take a step back, how would you suggest that I do that? Should I delete anything? Since every game is downloaded on my computer in the torrent it wouldn't take long right? If that is my only option, can I save my sims or no, they are a goner? I won't tell you how to fix it because I don't know how many game folders you have and what's actually inside them. Run the validator. As for the saves, those are in "Documents\Electronic Arts\The Sims 4\saves" and my installer doesn't touch that folder. Search your whole computer for "ClientDeltaBuild8.package" and post all the locations it finds that file in. 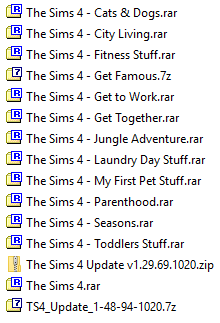 Here is where that file is..
C:\users\acerr7\downloads\thesims4-getfamous <- I just downloaded it, I didn't install it. Alright, that's quite a mess. Now search for "ClientFullBuild8.package". There should be one folder with that file. If there's more, then you messed up even more than I thought. Select that folder (remove "Data\Client" from the end) in validator and post the result here. @anadius wrote: Alright, that's quite a mess. Now search for "ClientFullBuild8.package". There should be one folder with that file. If there's more, then you messed up even more than I thought. I'll do that now. However, whenever I attempt to use the validator and select my md5 file nothing happens. It stays on the page to choose a file for quick scan or select the sims 4 directory. I downloaded the other program to turn my folder into an md5 file, but when I choose the file in the validator nothing happens. Alright, my file search shows two folders with that file. Its probably in the update other folder because I did as you said above and copied the sims 4 data client folder, and pasted it in the other folder. It's not "choose a file for quick scan or select the sims 4 directory". You HAVE to select the directory. Now I want you to post quick scan result for both "C:\Program Files (x86)\The Sims 4" and "C:\Users\Acer R7\Desktop\THESIMS4GAMES\THESIMS4UPDATE". Still waiting for report for "C:\Program Files (x86)\The Sims 4". I did exactly what she did in the video. Granted, I did this in November and was so confused after realizing that I messed up the game that I just left it. I finally have free time so I'm determined to fix it. & Apologies about the wait, I had to leave home. And start the game from "C:\Program Files (x86)\The Sims 4\Game\Bin". This should work. I get a new error now. It says that the contents of your user data directory were created by a newer version of the sims 4 and cannot be loaded. Please update your game via origin to play. Also, I have to finally install Get Famous before playing. Can I still do so? I downloaded the Get Famous in November. Can I install that version and then install this update? Also, how do I fix the error above because that's what I encountered when I followed your tips listed above. You played newer version of the game. Don't ask me how, both of validator results show you have version 1.44.88.1020. After installing the newest patch the error will be gone. Great, thank you! One last question.. just so that I do not mess anything up if you're saying I just need to install these last two things in order for it to work correctly, I am trying to go by this https://www.games4theworld.club/t21806-must-read-how-to-install-the-sims-4-correctly (again, its been a while since I've updated so just excuse my slowness)..
& I am confused on how to follow it because I have two separate locations for my expansions pack folders (desktop) and my The Sims 4 folder.. which is in the program files location. I'm not sure which I'm supposed to use when copy and pasting the new files for Get Famous and the Update ..
Can I follow this youtube video or can you suggest a video or a quick tip for me to follow so that I can be out of your hair? I don't want to mess anything up again. I told you to clean up this mess. Use "C:\Program Files (x86)\The Sims 4" folder. As for installing, it's just extracting files and moving them, the only thing you can mess up is order. First Get Famous, then Update 1.48.94.1020.